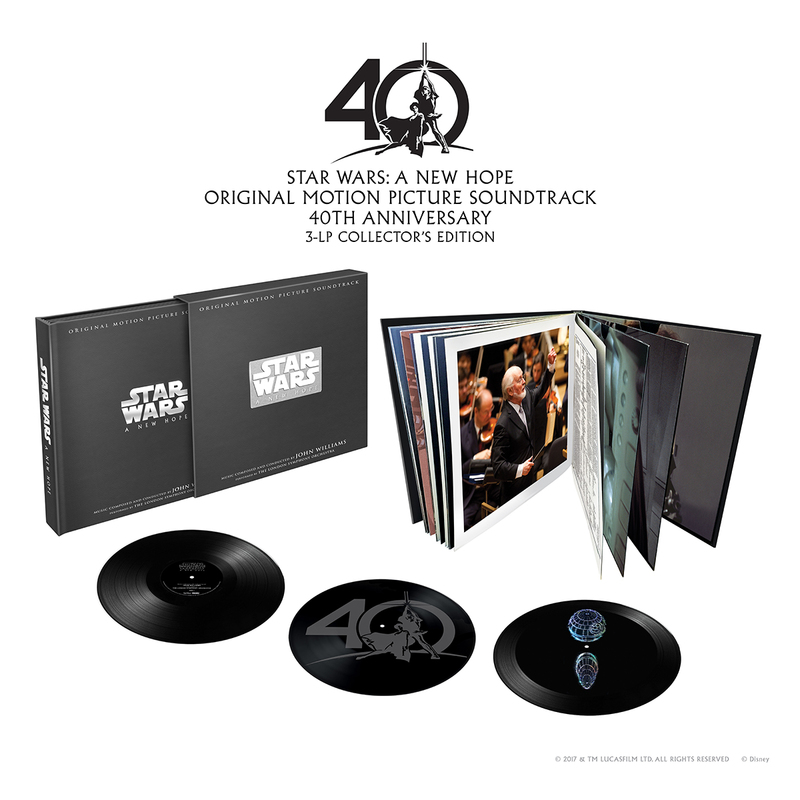 Celebrating the 40th Anniversary of one of the most significant soundtracks in film history, Walt Disney Records is set to release a new hologram vinyl version of the remastered original motion picture soundtrack for Lucasfilm’s Star Wars: A New Hope. 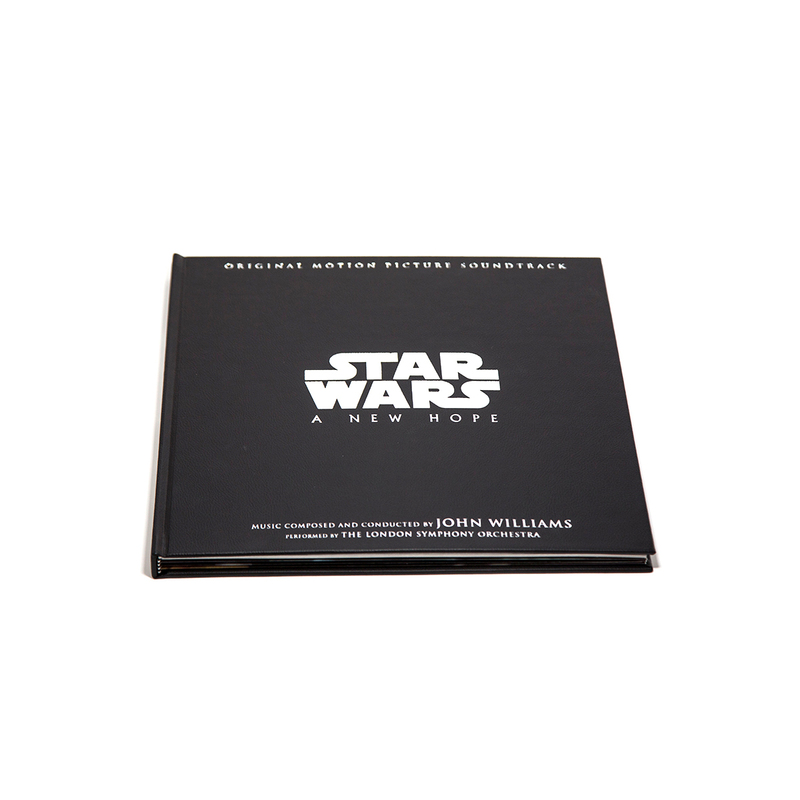 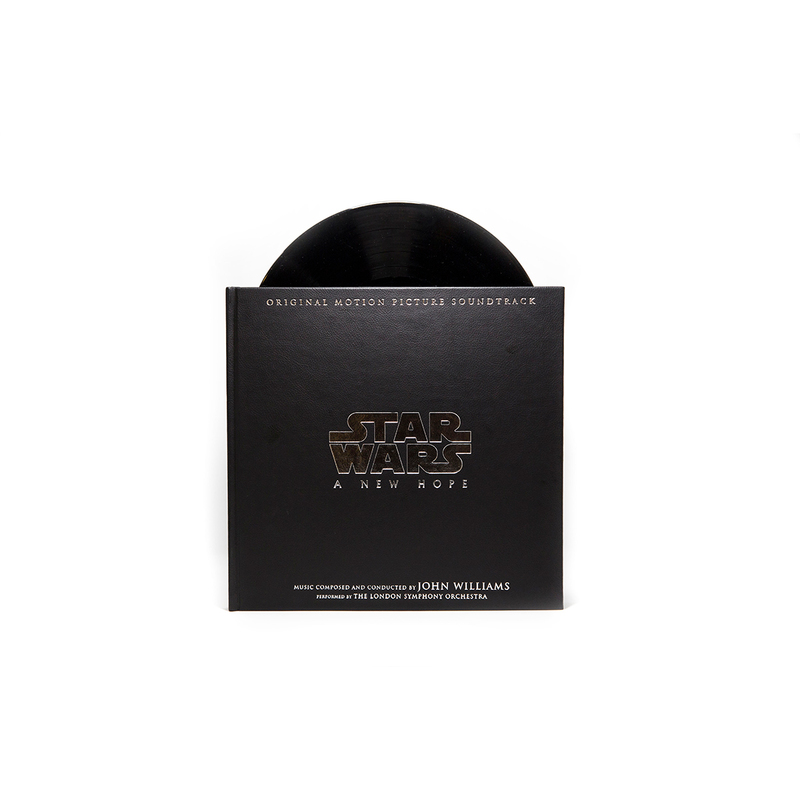 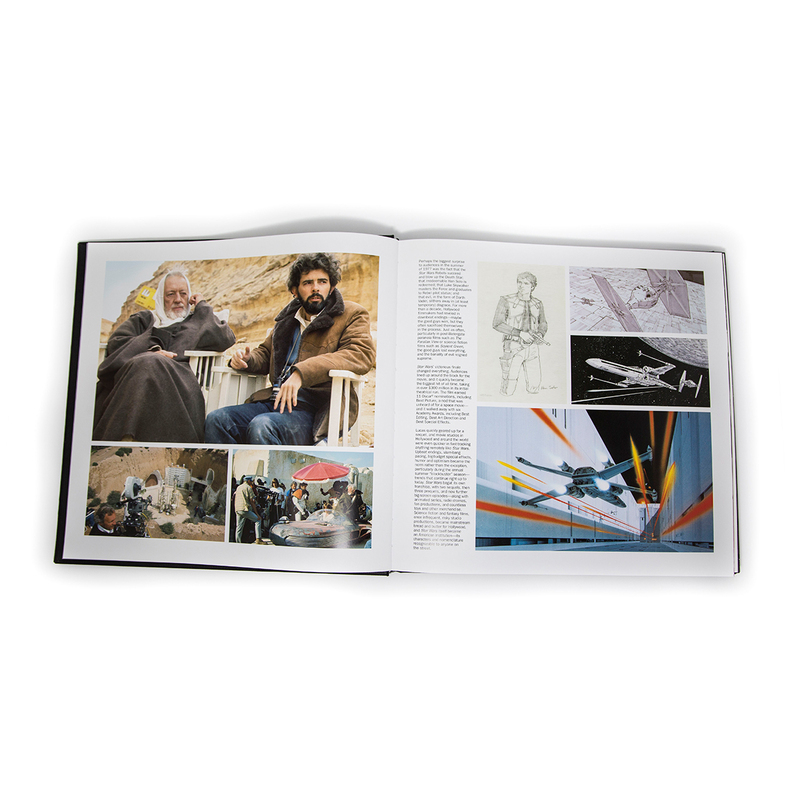 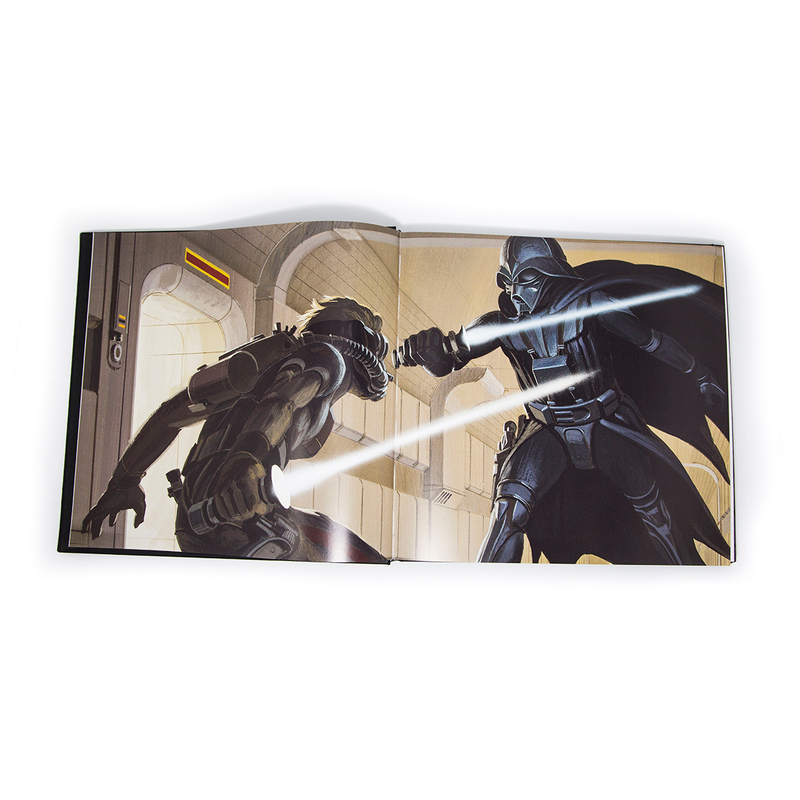 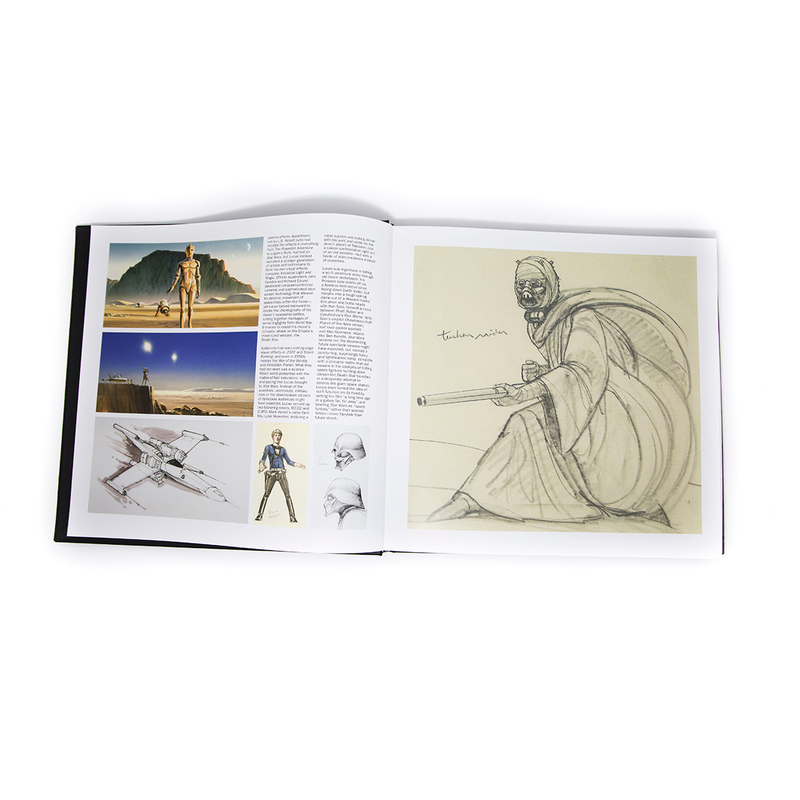 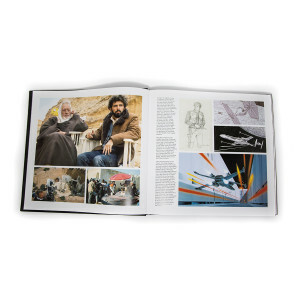 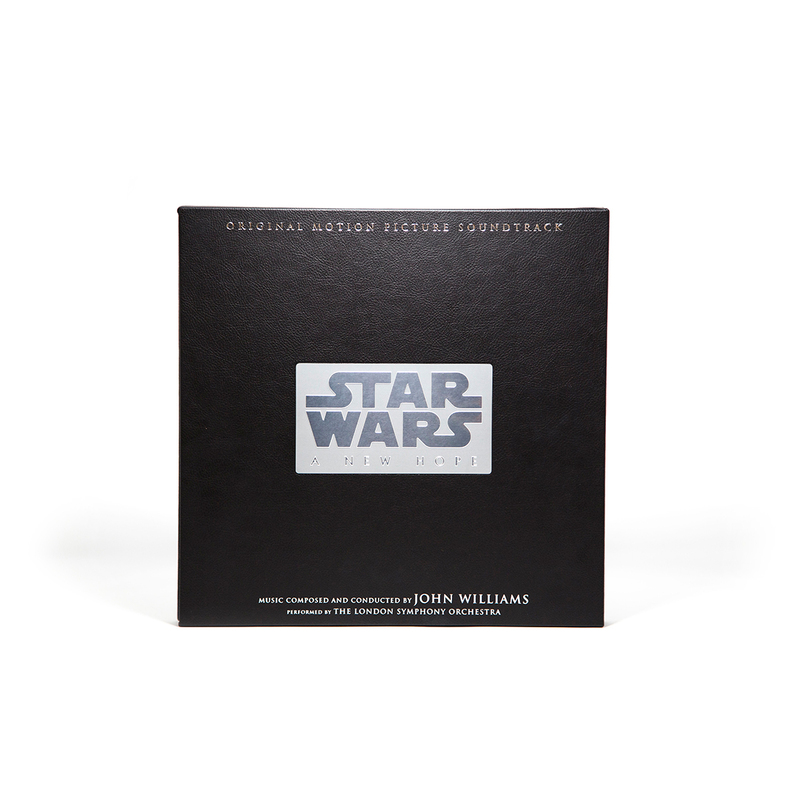 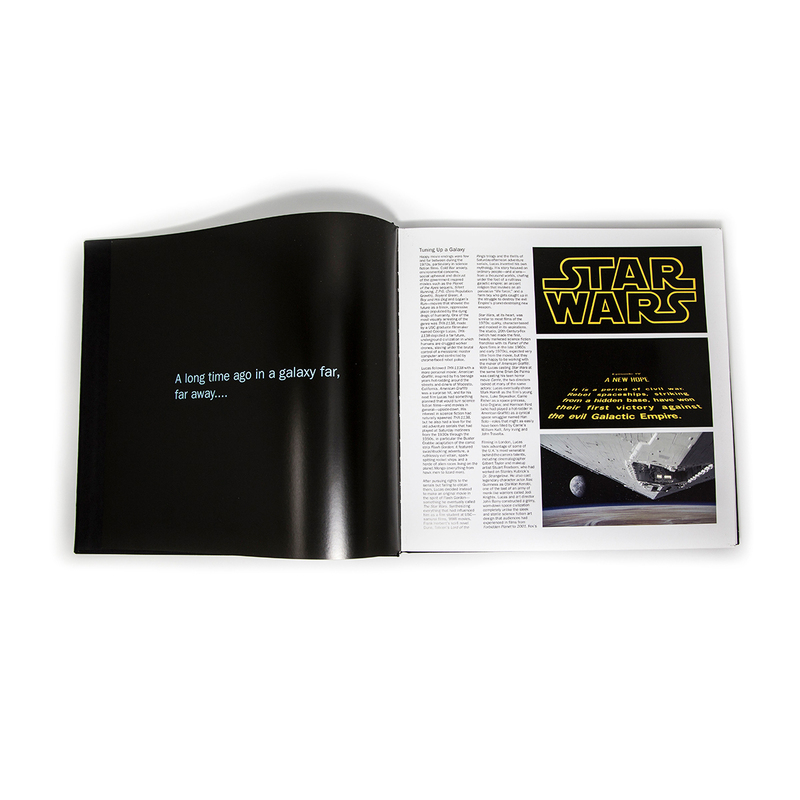 With score conducted and composed by five-time Academy Award®-winning composer John Williams, the 3-LP set features a 48-page hard cover book on 180-gram vinyl. 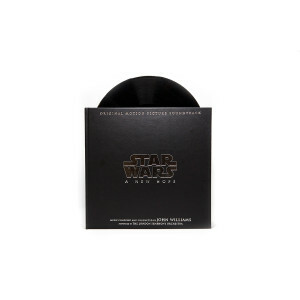 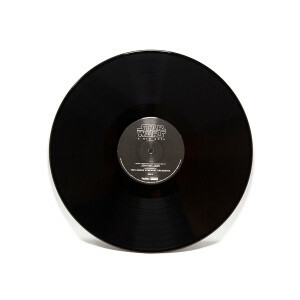 This one-of-a-kind vinyl set, hand etched by Tristan Duke (Jack White’s Lazaretto) of Infinity Light Science, offers a 3D hologram experience featuring the Death Star on Disc 1. 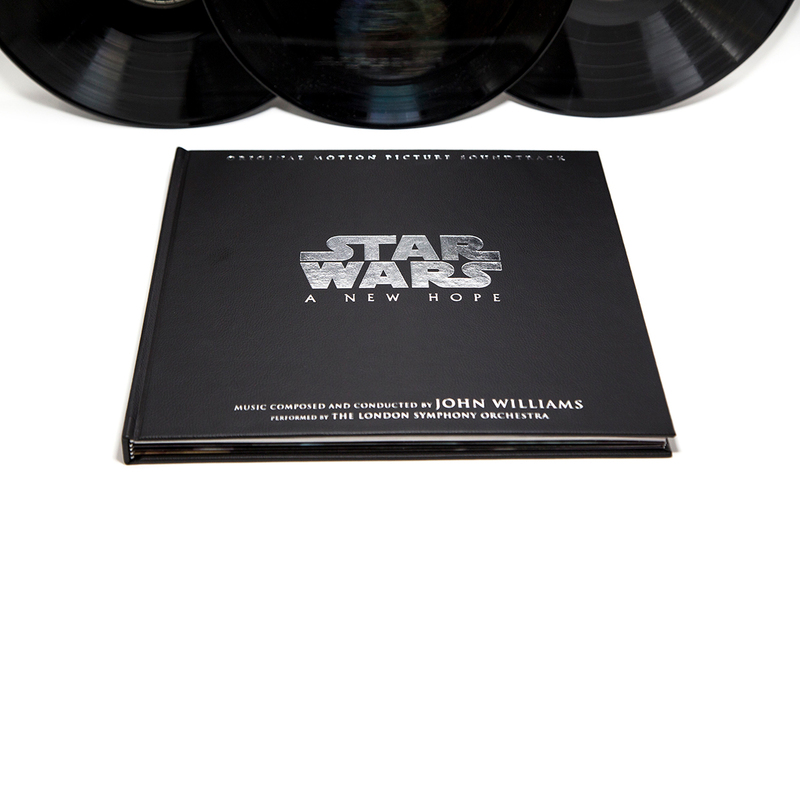 For optimal viewing, use a direct light source or simply hold a mobile phone flashlight above the vinyl to view the hologram. 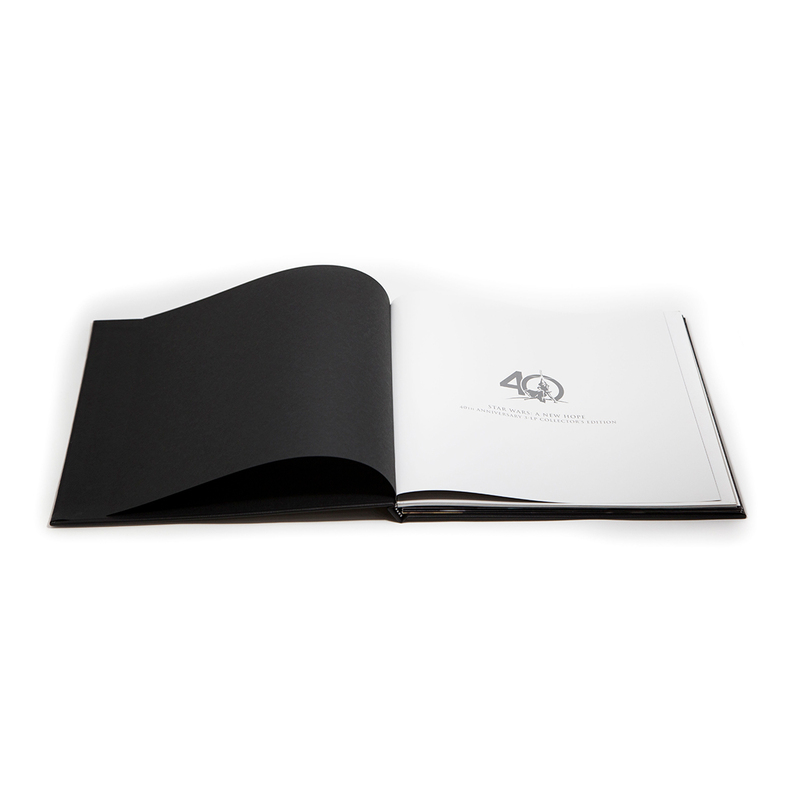 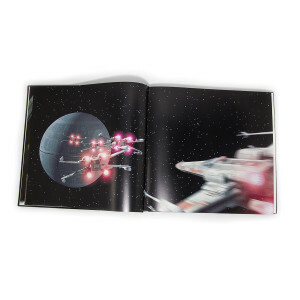 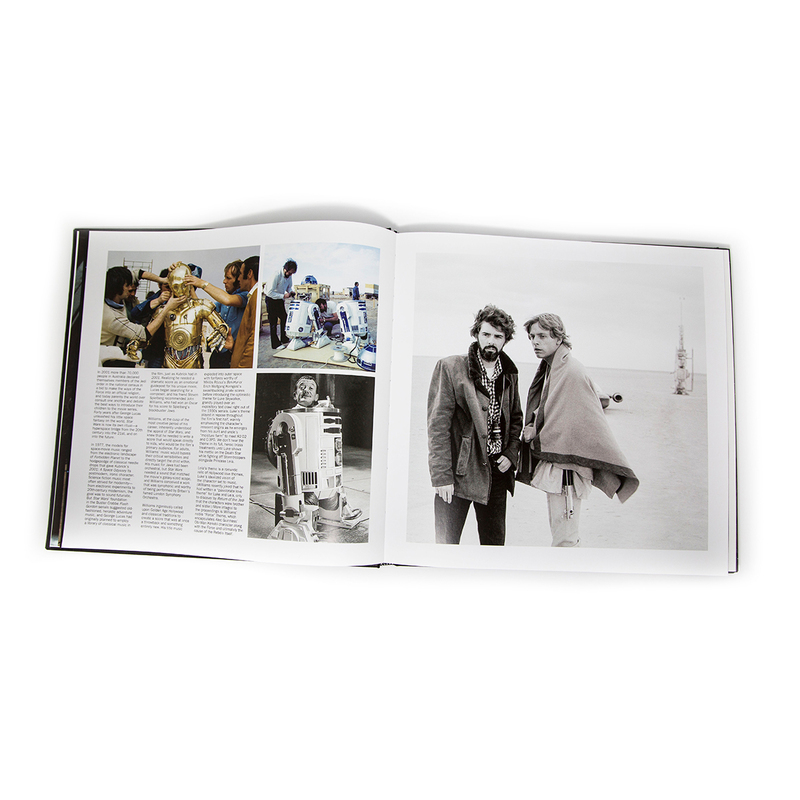 Disc 2 features the Star Wars 40th Anniversary logo etched into the vinyl. 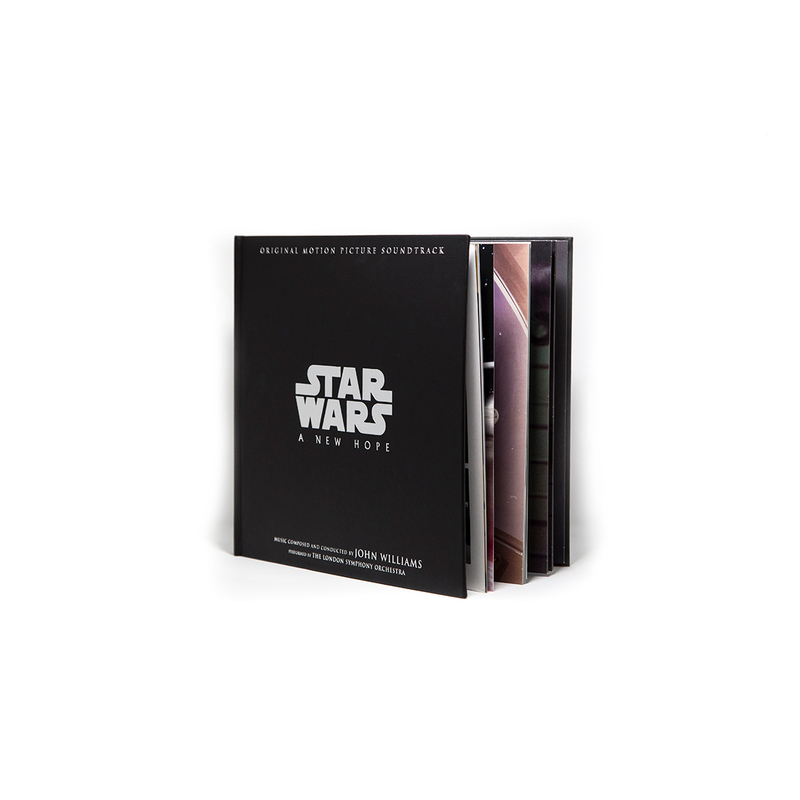 The box set includes rare and never-before-seen photos of the film’s production and scoring sessions. 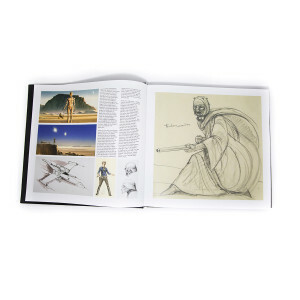 Additionally, two essays are featured in the hardcover book. 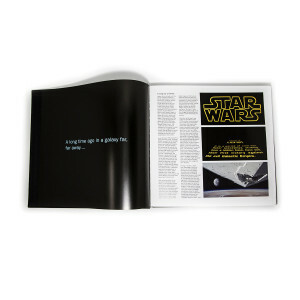 “Tuning Up a Galaxy” written by author Jeff Bond (“Danse Macabre: 25 years of Danny Elfman and Tim Burton,” “The Music of Star Trek”) focuses on the phenomenon of Star Wars and how John Williams’ score changed film music forever. 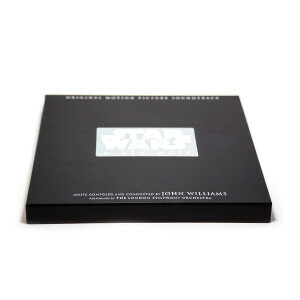 “John Williams’ Journey to Star Wars” by Jeff Eldridge discusses John Williams’ early career – from his musical heritage to his continuing legacy. 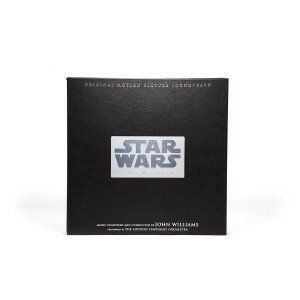 Earn 300 Disney Movie Reward points with the purchase of this product. This is truly the greatest purchase of the year to celebrate the 40th Anniversary of Star Wars. 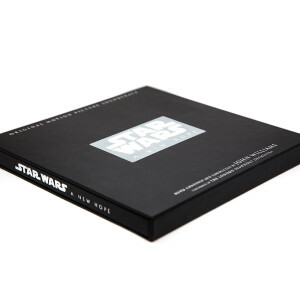 Very classy packaging and the hologram of the Death Star was just spectacular. Very happy with my purchase.